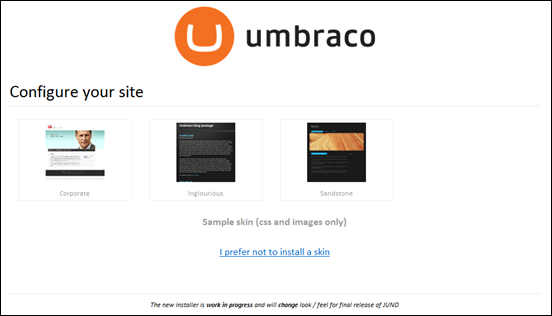 Today we've releasing the alpha of Umbraco JUNO aka Umbraco v4.6. 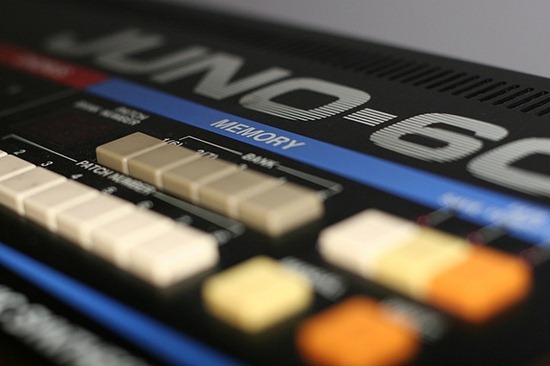 We're giving all Umbraco versions codenames after vintage synths and the Roland Juno 60 was a fantastic synth when it came in the very early eighties, with revolutionary features such as "affordable" polyphony, patch memory and one of the most gorgeous build-in chorus effects ever in a hardware synth. Being introduced in 1982 it's older than the average age in the core team. Auch, that made me feel old! 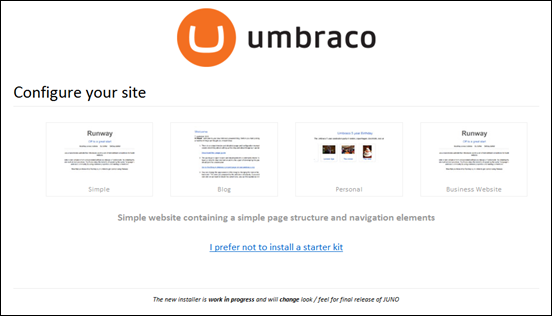 One showstopper to get fast up and running with Umbraco has been the lack of an embedded database since we had to let go of VistaDB earlier this year due to licensing issues. An embedded database means that you run of a database file that resides on disk and doesn't require a database server. This is actually not only handy for initial testing but also for running small sites - without a db server, the hosting fees are much cheaper. JUNO introduces support for Microsoft SQL CE 4 which is still in CTP but is surprisingly stable already. You'll need to run .NET 4 to support SQL CE 4 but in return it works in medium trust which is awesome on your hosting fees too. We're still adjusting what type of functionality that the starter kits should contain and would love your feedback on this. We've added three temporary skins but for the launch they will be replaced by three stunning default skins made by professional design agencies. In addition we'll be working on releasing a spring and fall collection of skins every year made by the best design houses we can persuade. Of course we'll be adding community skins as well. For the beta of JUNO we'll also add default dashboards to all the different sections to make it easier and faster to edit content, upload media, search for members, install and upgrade packages. We'll release JUNO this fall and a beta that will come very soon. We'll go straight from 4.5 to 4.6.0 so there won't be a 4.5.3 we'll do the bug fixes directly in 4.6 instead! All this functionality runs on the same core as 4.5 so upgrades will also work 100%. Please help us by testing the alpha, the SQL CE bits, the starter kits, the skins and give us feedback on how we can make it better. You can download JUNO today from Codeplex. You can also download comprehensive documentation on how the new skins work and how to create your own. Enjoy - and remember. Never stop playing.